The Next Generation of MindManager Add-ins! 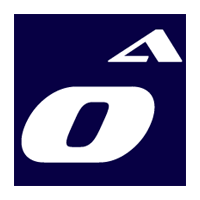 OPTi-Add-ins is the new add-in platform which replaces our popular OPTi-Suite add-in for users of MindManager 2012 and future versions. 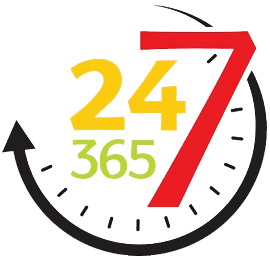 This new platform offers you a selection of add-ins completely free of charge, as well as others which can be purchased as needed individually or in money saving bundles. The new platform lets you to choose the add-ins you unlock and display in your OPTi-Add-in menu, so you can enable only those add-ins you need on a regular basis or you can have all add-ins on show and accessible 24/7. First, you need to download the OPTi-Add-in installer. Download the file, unzip and run the installer to install the add-in. Once installed you can access the OPTi-Add-in menu within MindManager as shown above. With OPTi-Add-ins installed you can see all available add-ins by selecting the Info/Options item from the menu. This will display a dialog showing all the current add-ins and show which ones are unlocked, enabled or disabled. You can click links on unlocked add-ins to visit the web page for that particular add-in to see step by step how it works or if the add-in is yet to be unlocked you can click the links to visit the website to purchase an unlock code. The add-ins are split into three categories; Basic, Premium and Free, . Basic Addins – offer additional functionality to MindManager that is simple but effective. They are priced lower than Premium add-ins because they require less development time. Free Addins – included with OPTi-Add-ins and already unlocked and enabled for use. Over time we will add more free add-ins as they become available. You can choose which add-ins to unlock and when to enable them using the small check-box located next to the add-in name. When you close the dialog OPTi-Add-ins will update to reflect your changes. The Basic OPTi-Add-ins are versatile and provide very useful functions for the everyday MindManager user. These add-ins are available for a small cost and can be purchased either individually or in bundles where available. 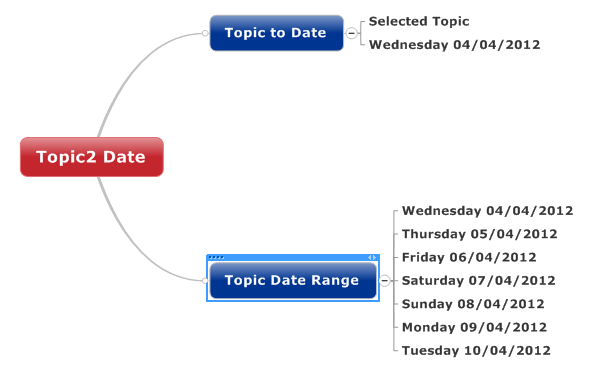 Add a dated Topic (with/without the day of the week) or create a range of Topics automatically within a chosen date range, again with or without the day of the week. 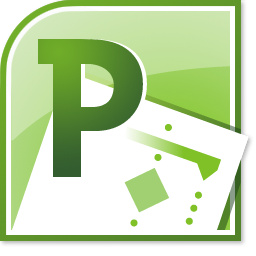 Convert a Topic into a Map Marker Group and populate the group with Map Markers from the Sub-Topics. 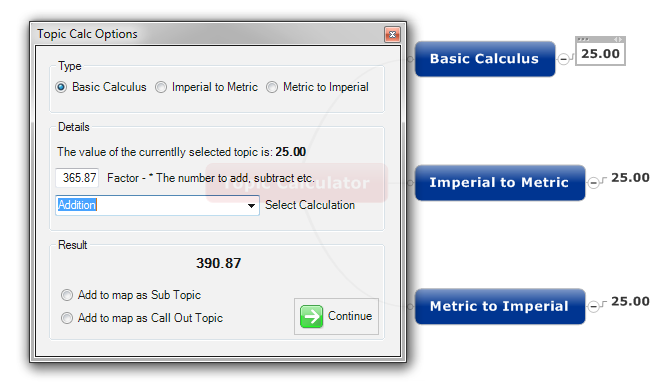 Select a range of Topics with numerical Topic Text and then calculate the total. Display the result or choose to have it inserted into the Map as a new Topic. Select the Task Pane tabs to display in your MindManager session to improve access and save time. The Premium OPTi-Add-ins have required a greater amount of development time and are priced accordingly dependent on the level of complexity and value to the user. Again these add-ins can be purchased individually or in bundles where available. 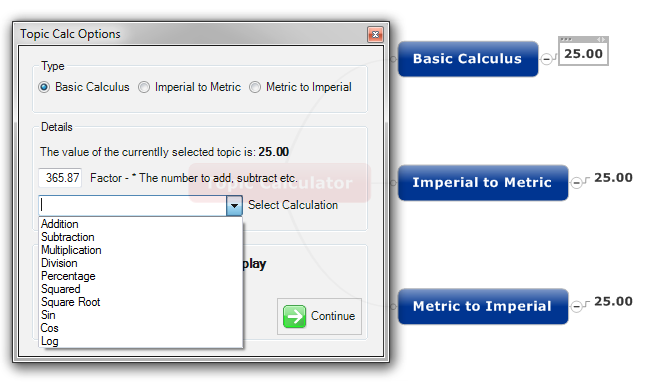 Select a Topic with numerical text and calculate various mathematical functions such as addition, subtraction, multiplication, division etc. Also allows common conversions for weight, speed, length etc. 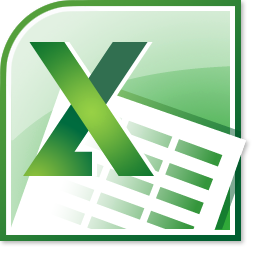 Convert locally hyperlinked files such as Word documents, Excel sheets etc into an Attachment which becomes embedded in the Map. Allows you to also keep the hyperlink as well or have it removed in the process. 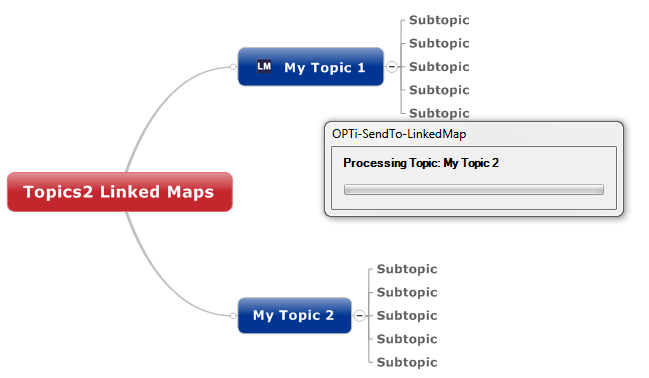 An alternative Send To Linked Map function that can batch process multiple marked Topics within the same map to quickly create multi-map structures. 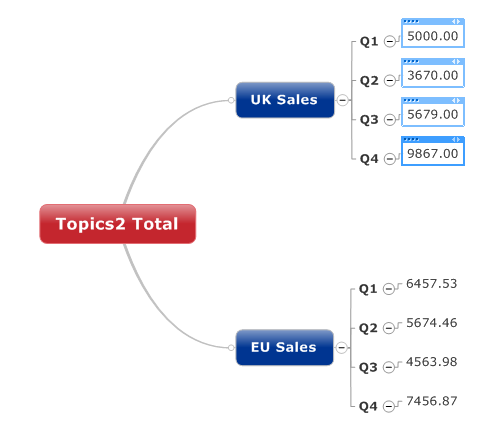 Converts all Sub-Topics into content that becomes displayed within the Notes attribute of the selected Topic. A simple add-in that lets you insert the current date into a Topic with the option to include the day of the week. The add-in lets you do this to a single selected Topic or you can create a range of new Topics each with the date and day of week between a chosen start and end date. When you select the Topic2 Date option from the OPTi-Add-in menu you will see a dialog that allows you to choose what action you wish to perform. 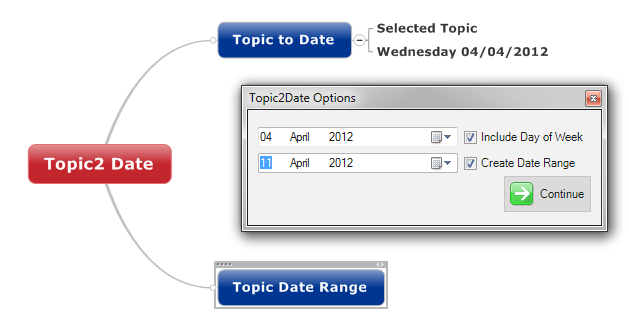 When selecting a date range, you insert multiple dated Topics into the Map. The result of selecting Create Date Range is shown below. This add-in is useful if you are a MindManager user who likes to create Map calendars or weekly plans. If you are an avid user of Map Markers in MindManager this add-in might be for you. It enables you to create Map Marker Groups and populate them with Map Markers from Map Topics. One useful application of this add-in is when you use MindManager to map meetings and you have an attendee Topic within your Map. 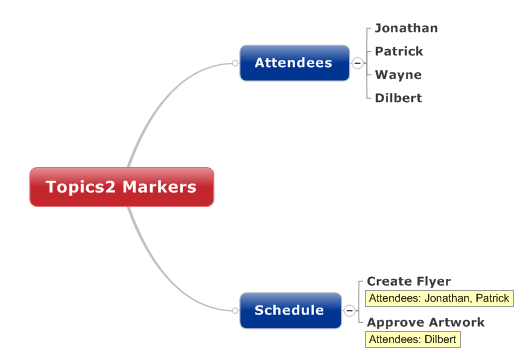 With Topics2 Markers you can select the Attendee Topic and automatically create and populate a Map Marker Group which can then be used to assign users to Tasks etc. 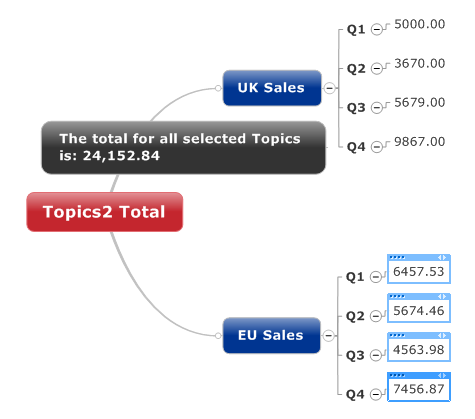 If you use MindManager to track sales data or other financial information, you can use the Topics2 Total add-in to quickly calculate the total of multiple selected Topics providing that the Topics contain purely numerical Text. You can now drag this Topic to a new location and edit the text to suit your subject. 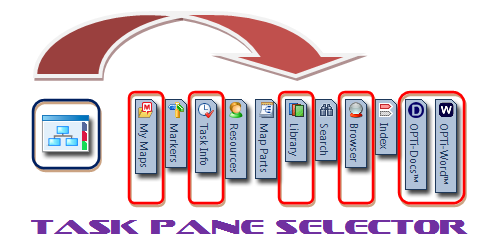 …Task Pane Selector is the cure! Task Pane Selector is the latest function added to the Basic range of OPTi-Add-ins. Sometimes when you have installed several 3rd party add-ins that utilise the Task Pane collection of MindManager you can find that as you add more the tabs of the panes become smaller, sometimes to the point of obscuring the captions on the tabs making it harder to locate the correct pane quickly. Task Pane Selector changes all that by allowing you to choose which Task Pane tabs are visible in your MindManager session. 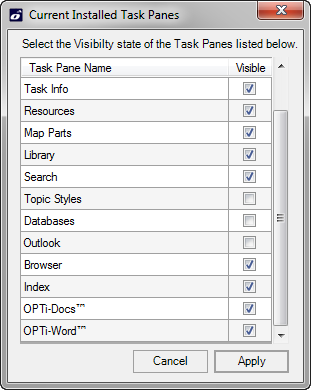 Simply click the Task Pane Selector icon from the OPTi-Add-ins menu and you will be presented with a dialogue that displays all of the currently enabled Task Panes. Use the check-boxes to select the Task Panes you want to display and then hit the Apply button to update the settings. Task Pane Selector also allows you to force tab visibility for some Task Panes that remain hidden until you activate a particular function. The Topic Styles Task Pane is sometimes handy to have accessible when formatting lots of map content saving you time and reducing the amount of mouse clicks to complete the process. Task Pane Selector can be purchased as a single addition to unlock, as part of the Basic bundle or obviously included in our Master Unlock Code which not only unlocks all the current OPTi-Add-ins functions but also all those we release throughout 2012. 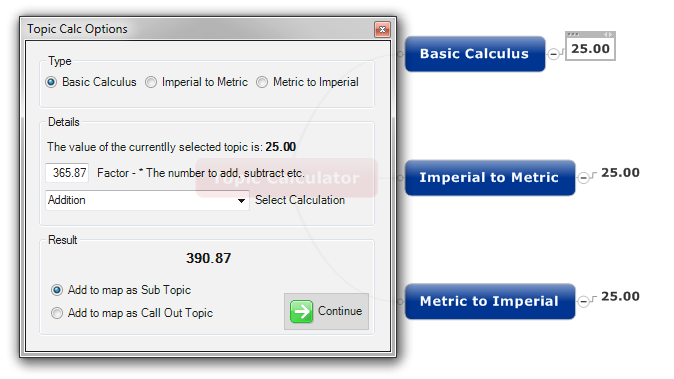 When using Topic Calculator, select a purely numerical Topic, then select the type of calculation either, Basic Calculus, Metric to Imperial Conversion or Imperial to Metric Conversion. 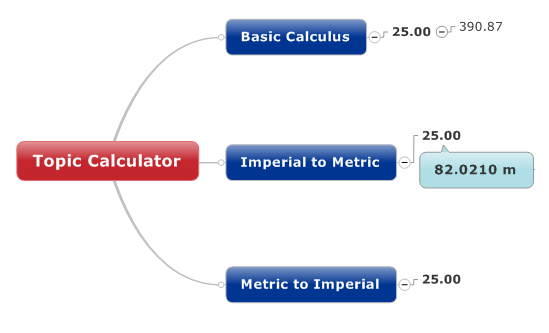 If you select Basic Calculus you must enter a Factor to use in the calculation. So for example, if you had a numerical Topic of 25.00 and you wanted to add 365.87 to it then we would enter 365.87 as the Factor. 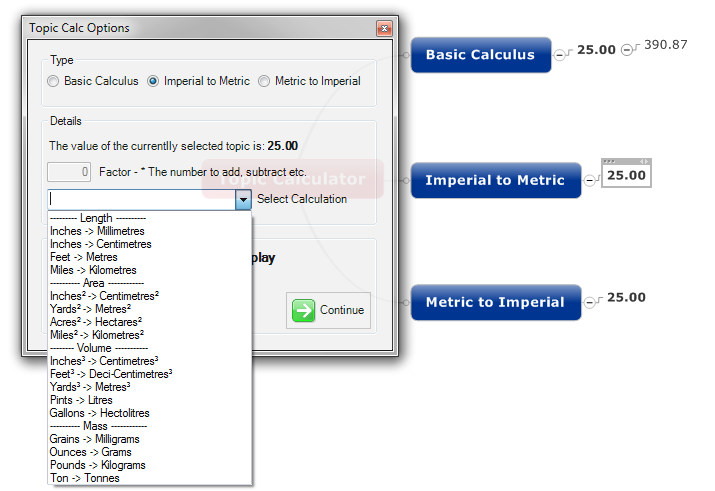 You then select the type of calculation from the drop down and the result is then displayed. 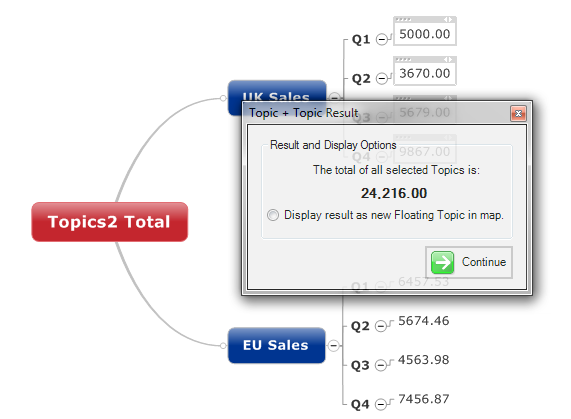 You can then choose whether to add the result to the Map as a Sub-Topic or a Call Out on the selected Topic. The result is displayed as before and in this instance the result has been added to the Map as a Call Out. 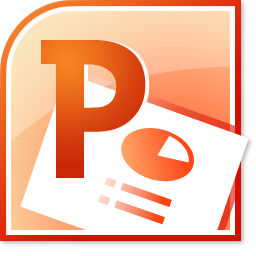 This add-in allows you to convert documents that are Hyperlinked to your Topics into an Attachment for the selected Topic so that it stays with the map, so if you email the Map to a colleague they will have access to the information. It also offers the choice to keep the original Hyperlink as well as adding the Attachment or to just simply replace the Hyperlinked document. If you want to keep the Hyperlink as well as adding the Attachment then select Yes from the Option Dialog. 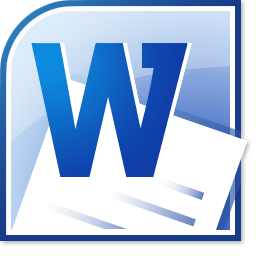 The Document will be added to the selected Topic as an Attachment allowing you to distribute the map so that all readers can view the document. 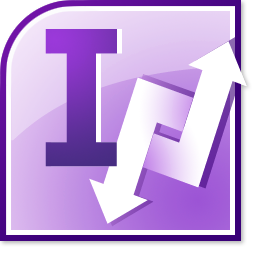 The add-in will also handle Topics with multiple Hyperlinks on them. Note: This will only work with files that are Hyperlinked on a standard file path. Web-based files are not supported. Sometimes Maps just become too big to manage. When this happens you can use the Send To Linked Map command within MindManager to create linked Map structures that you can navigate from Map to Map by Hyperlinks on the Map Topics. This function allows you to do this in a batch mode. It also works on Topics that contain multiple Hyperlinks which the inbuilt MindManager version does not. 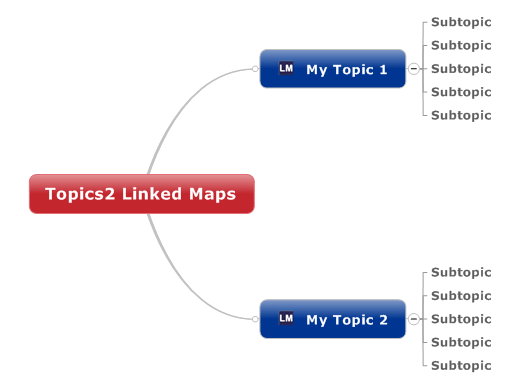 First you need to mark the Topics you wish to create linked Maps from. To do this open the Map Markers Task Pane and mark the topics you wish to include with the OPTi-Send-To-Linked-Map Marker. With the Topics marked you can then select the Topics2 Linked Map command from the OPTi-Add-ins menu to start the routine. You can select options that allow you to keep the existing Topics or have them removed. You can also choose whether to have a reciprocal Hyperlink back to the source Map if you wish. Once you have confirmed your choices, click OK to start the process. Wait for the process to complete, after which you will have newly created Maps located in the same root folder as your source Map. You can choose View - Linked Maps within MindManager to see the result. A great utility for condensing maps with too many Topics into a more manageable map. 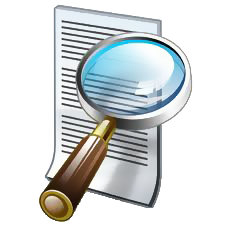 The utility takes all Sub-Topics of the selected Topic and adds them to the selected Topics Notes. 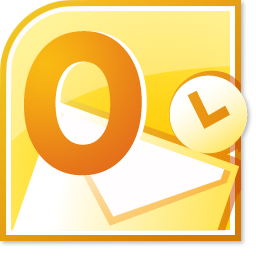 The section describes how to download and install OPTi-Add-ins. Please note this is only available to users of MindManager 2012, if you are using MindManager 7, 8, or 9 you will need to use OPTi-Suite (described on the next page). Unzip the download package to a temporary location. 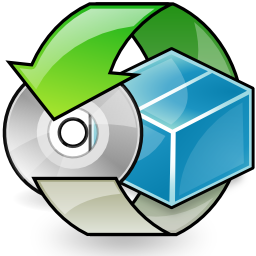 We recommend your Desktop as it makes it easy to find the extracted files. Double left mouse click the setup.exe file and follow the dialog prompts. Once the installer has completed, you can delete the install files and zip package from your download location. Open MindManager and you should see the OPTi-Add-ins ribbon tab located in the MindManager menu tabs collection. If you ran through the install dialogs and encountered no errors but the tab is not in view when you open MindManager then click on File – Options – Addins and make sure that the entry for OPTi-Add-ins is listed and that the check-box located next to the add-in name is checked. Once you have OPTi-Add-ins installed you can start to use the included free add-ins or purchase some of the Basic and/or Premium add-ins available from the Info/Options dialog. When you purchase an unlock for a locked add-in will receive an unlock code in your purchase confirmation email. Type this code(s) into the box provided on the Info/Options dialog next to the add-in name. If the unlock code is correct the box should be replaced with an “Unlocked” label and the click link should change to display “See how it works!”. You will also notice the check-box next to the add-in icon become enabled. Select the check-box to display the add-in in the OPTi-Add-ins ribbon menu and click the Close button to close the form and enable the selected add-ins. OPTi-Add-ins should now display your newly enabled add-in(s) ready to go. Note: You can enable and disable unlocked add-ins at any time by opening the Info/Options dialog and toggling the check-box next to the add-in icon. This way you can choose which add-ins are displayed in the OPTi-Add-ins menu. Turbo-charge your copy of Mindjet MindManager! OPTi-Suite™ for Mindjet® MindManager® is a collection of utilities for MindManager® Pro 7, MindManager 8 and MindManager 9…..
Now updated and providing an additional 12 functions, the OPTi-Suite gives you new ways to make MindManager® even more productive. This add-in is designed to be extended through user feedback and participation. The collection will be expanded where possible to meet user requirments and demands. This means that YOU, the user, has the chance to make the add-in a more valuable tool for you and others by submitting suggestions for improvements and new functions that we might be able top add. 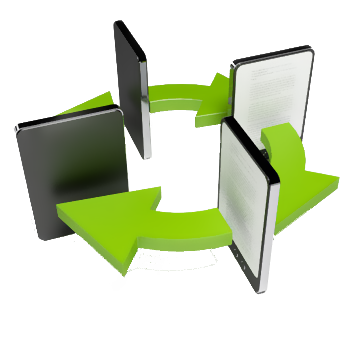 With the OPTi-Suite installed, MindManager becomes even quicker at creating and managing your information. With functions that help insert and manipulate data in your MindManager® documents you will find it easier than ever to turn Topics into Dates or Map Marker groups, analyze a numerical Topic and see what it represents in other formats such as Miles/Kilometers or Inches/Feet etc. This function allows you to open a map which has its Topic alignment set to Left so that all new Topics created are added to the left hand side of the map. 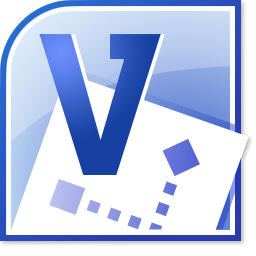 A handy utility that will convert a hyper linked document such as a PDF file or a Word document and change it to an Attachment (embedded within the map). The add-in also allows you to either keep the current hyperlink or have it replaced which allows for additional flexibility. Allows you to add selected Topics, (providing they have a numerical text title), and have the sum either displayed on screen or added to the map. 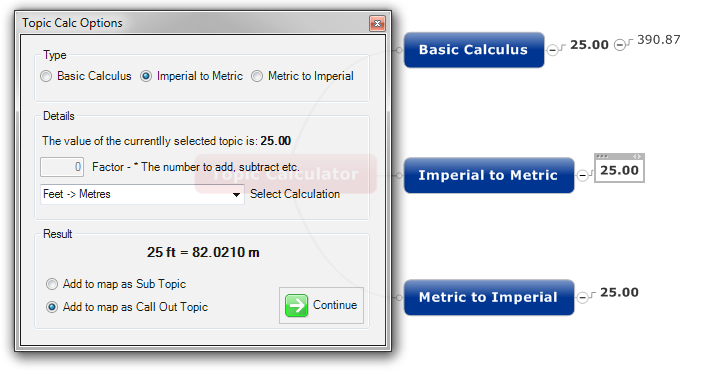 Use on a numerical Topic to display different conversions such as Miles/Kilometers, Inches/Feet etc. 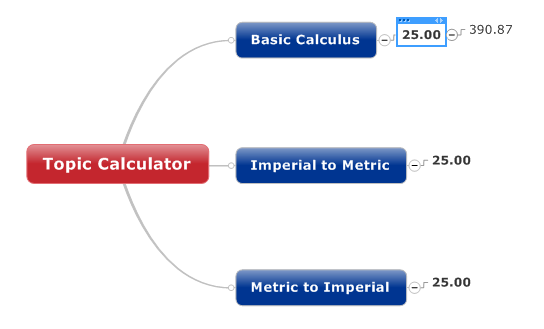 Also allows basic math calculations on the selected Topic and the result added to the map. This utility allows you to select a Topic and then lock the text so it can not be changed by other users of the map, (unless they have OPTi-Suite installed). When a Topic is locked, it is indicated by a padlock icon on the Topic. 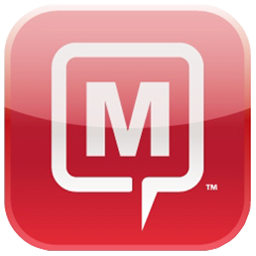 Creates Map Marker Group and Markers from Topics. 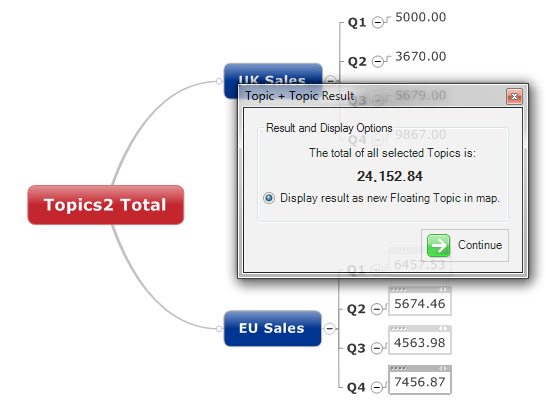 Takes the selected Topic and steps through the sub-topics and converts them into Text Notes of the selected Topic. Takes the selected Topic and makes the Topic orientation vertical. This allows the user to select the character spacing of the resulting Topic as well. 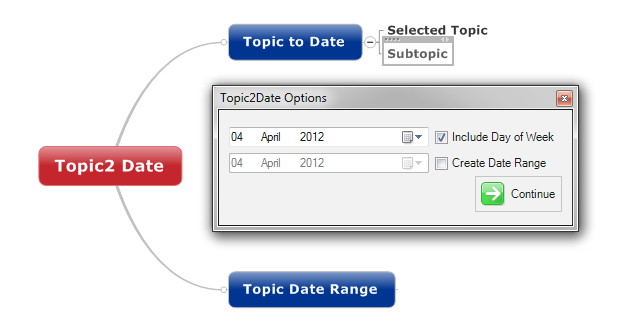 Takes the selected Topic and inserts a user selected date. 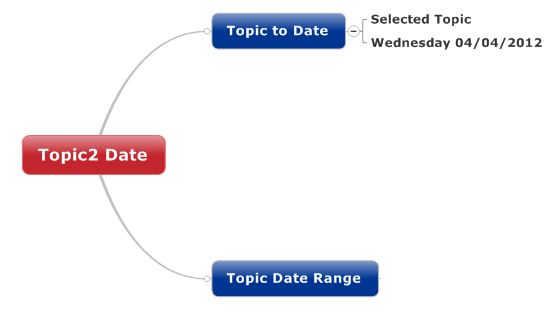 The user can select to have the day of the week added to the Topic if desired. Change Topics to Call-Out Topics or back again with a single click. For quantities above 10 or for Site Licensing please contact us at: sales@unitedaddins.com. Start doing more with MindManager 2012 today! You can purchase unlock codes for individual – or purchase a Master Unlock code which allows you to unlock all the current add-ins. Anyone purchasing a Master Unlock code also has the ability to unlock all new add-ins as they are released without any further payment. For quantities above 10 or for Site Licensing please contact us at sales@unitedaddins.com.